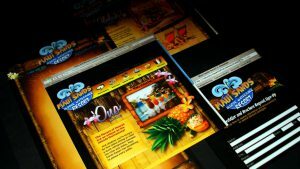 Website design as part of an integrated launch program for Maui Sands Waterpark Resort in Sandusky, Ohio. Putting this Sandusky Waterpark on the map. We were brought in to help design the official website as part of an integrated launch program for Maui Sands Waterpark Resort in Sandusky, Ohio.